Last month, a Harley-Davidson motorcycle washed up on a Canadian islandafter a journeyed of 4,000 miles across the Pacific. 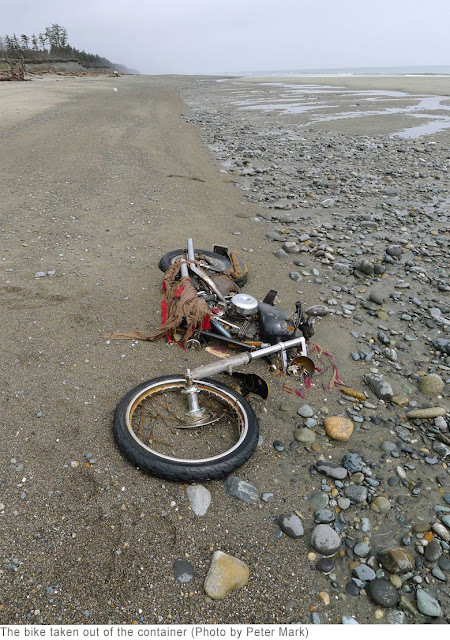 The bike was lost during last year’s Japanese tsunami and was discovered on April 18 by Peter Mark, a resident of B.C.’s Haida Gwaii, who was exploring a remote beach on Graham Island on his ATV. 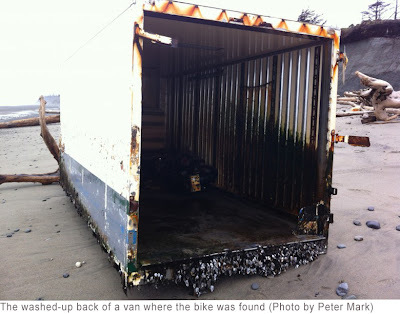 Mark found the rusted bike in a large white container that was part of a Japanese moving truck. 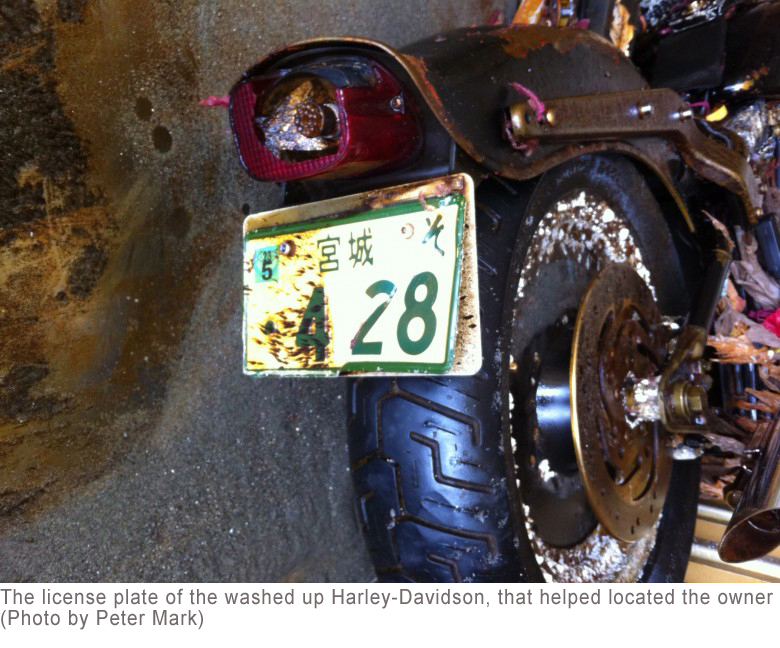 The Candadian saw the Japanese license plate and realized that the bike might have been part of the Japanese tsunami debris carried by the ocean currents, so he called a local TV station. After the story broke, a Harley-Davidson representative in Japan saw the news in the media and tracked down the owner of the bike. The owner was Ikuo Yokoyama, a 29-year-old resident of the town of Yamamoto, in Miyagi Prefecture, the part of Japan that was hit the hardest by last year’s tsunami. “This is unmistakably mine. It’s miraculous,” Yokoyama told Nippon TV when shown photos of the motorcycle. 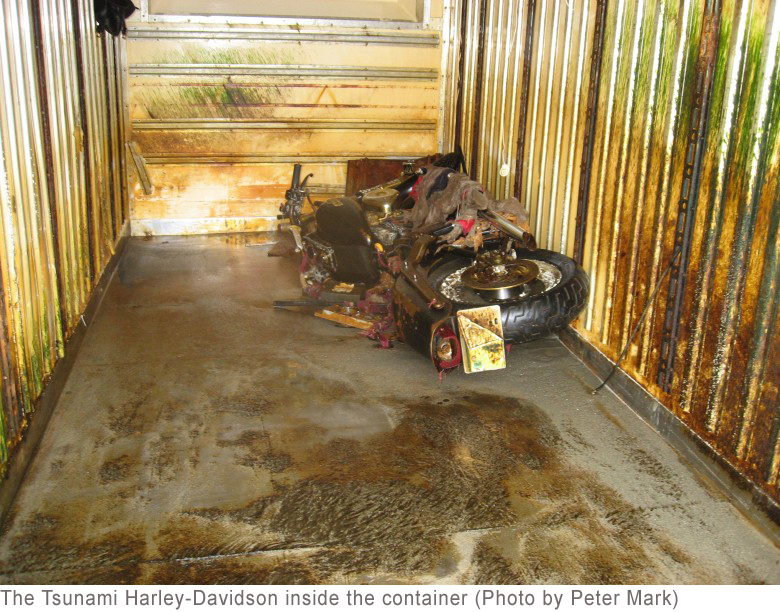 He said that he used the container, a back section of a van, as a storage shed for his Harley before it was washed away. He bought the bike five years ago and toured Japan on it. Yokoyama, who currently lives in a temporary accommodation, lost three family members and his home in the tsunami. 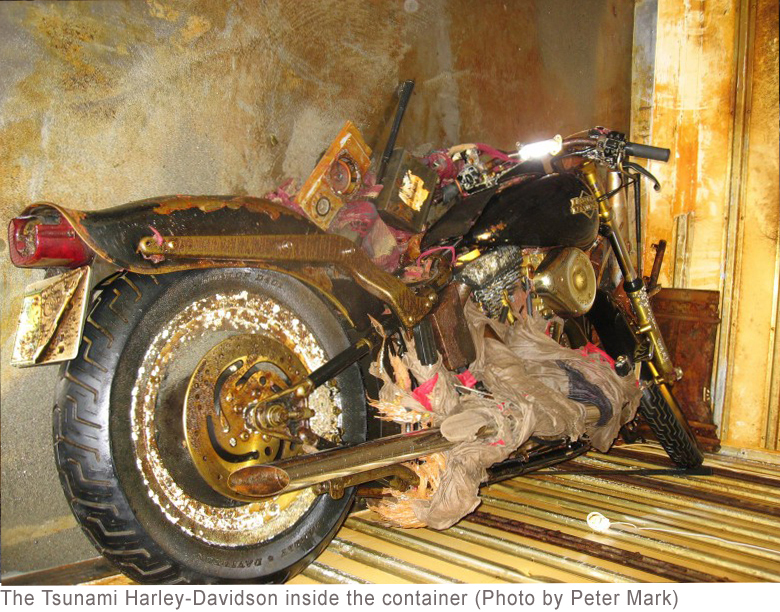 The Harley-Davidson dealership that sold the motorcycle to Yokoyama wants to ship the bike back to Japan and restore it for the owner.